Look no further for an electric wheelchair that is as portable as it is capable. 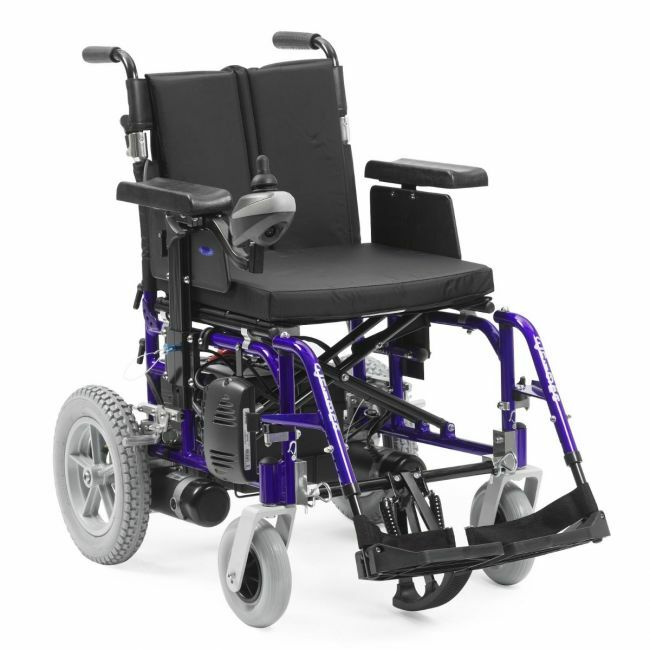 The Enigma Energi lightweight powerchair has many luxury features normally found on the most expensive chairs yet is surprisingly affordable. It's easy to handle and is extremely responsive, has a small turning circle and is a pleasure to sit in. Designed with convenience and ease of use in mind, this electric wheelchair folds easily. Simply remove the battery and fold like a standard folding wheelchair. A tension and height adjustable backrest provides comfort and support on journeys up to an impressive 15 miles at a top speed of 4mph. Available in metallic blue, metallic red and metallic black finish. Please get in touch if you would like to arrange a test drive. Ask us about optional extras for the Enigma electric wheelchair such as attendant controls, dual controls, kerb climbers and elevating leg rests.